Pinguicula of Latin America is the second volume of a series of two books that document all carnivorous butterworts (Pinguicula) of the world, for the very first time and in unparalleled detail. These spectacular carnivorous plants produce leaves lined with tiny tentacles tipped with droplets of glistening, sticky mucus. Small insects become affixed to the sticky, fly-paper leaves of Pinguicula, die and are digested offering the plant nutrients to grow. 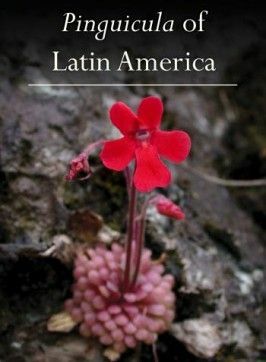 In this volume, all Pinguicula taxa from Latin American countries (including the Caribbean) are individually documented in great detail. The morphology, diversity, taxonomy and botanical history of all recognised taxa is described in depth and in clear English prose. Descriptions are accompanied with numerous spectacular images covering many Pinguicula species that have never been illustrated before. 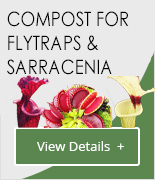 • Species entries Latin America: Pinguicula acuminata, P. agnata, P. albida, P. antarctica, P. benedicta, P. bissei, P. calderoniae, P. calyptrata, P. casabitoana, P. chilensis, P. clivorum, P. colimensis, P. conzattii, P. crassifolia, P. crenatiloba, P. cubensis, P. cyclosecta, P. debbertiana, P. elizabethiae, P. elongata, P. emarginata, P. esseriana, P. filifolia, P. gigantea, P. gracilis, P. greenwoodii, P. gypsicola, P. hemiepiphytica, P. heterophylla, P. ibarrae, P. imitatrix, P. immaculata, P. involuta, P. jackii, P. jaraguana, P. jarmilae, P. kondoi, P. laueana, P. laxifolia, P. lignicola, P. lilacina, P. macrophylla, P. martinezii, P. mesophytica, P. mirandae, P. moctezumae, P. moranensis, P. nivalis, P. oblongiloba, P. orchidioides, P. parvifolia, P. pilosa, P. rotundiflora, P. takakii, P. utricularioides.